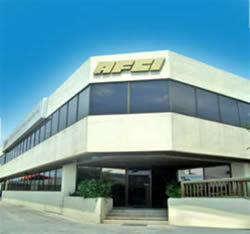 Since its inception in 1982, AFCI has grown to its current status as an established Philippine owned logistics company. Today, AFCI and its subsidiary companies, keeps pace with business needs, offering complete logistics services which includes Purchase Order Management, Cargo forwarding , Customs brokerage, Distribution, Warehousing, Trucking for its local customers and offers a vast network of overseas agents. ISO 9001 Certified: June 07, 2001 by Bureau Veritas Quality International.